This article is about the Atlantic island and Canadian province. For the islands near Antarctica, see Prince Edward Islands. Prince Edward Island (PEI; French: Île-du-Prince-Édouard) is a province of Canada consisting of the Atlantic island of the same name along with several much smaller islands nearby. PEI is one of the three Maritime Provinces. It is the smallest province of Canada in both land area and population, but it is the most densely populated. Part of the traditional lands of the Mi'kmaq, it became a British colony in the 1700s and was federated into Canada as a province in 1873. Its capital is Charlottetown. According to the 2016 census, the province of PEI has 142,907 residents. The backbone of the economy is farming; it produces 25% of Canada's potatoes. The island has several informal names: "Garden of the Gulf", referring to the pastoral scenery and lush agricultural lands throughout the province; and "Birthplace of Confederation" or "Cradle of Confederation", referring to the Charlottetown Conference in 1864, although PEI did not join Confederation until 1873, when it became the seventh Canadian province. Historically, PEI is one of Canada's older settlements and demographically still reflects older immigration to the country, with Scottish, Irish, English and French surnames being dominant to this day. PEI is located about 200 kilometres (120 miles) north of Halifax, Nova Scotia, and 600 kilometres (370 miles) east of Quebec City. It consists of the main island and 231 minor islands. Altogether, the entire province has a land area of 5,686.03 km2 (2,195.39 sq mi). The main island is 5,620 km2 (2,170 sq mi) in size. It is the 104th-largest island in the world and Canada's 23rd-largest island. In French, the island is today called Île-du-Prince-Édouard, but its former French name, as part of Acadia, was Île Saint-Jean (St. John's Island). The island is known in Scottish Gaelic as Eilean a' Phrionnsa (lit. "the Island of the Prince", the local form of the longer 'Eilean a' Phrionnsa Iomhair/Eideard') or Eilean Eòin for some Gaelic speakers in Nova Scotia though not on PEI (lit. "John's Island" in reference to the island's former name). The island is known in the Mi'kmaq language as Abegweit or Epekwitk roughly translated as "land cradled in the waves". Prince Edward Island is located in the Gulf of St. Lawrence, west of Cape Breton Island, north of the Nova Scotia peninsula, and east of New Brunswick. Its southern shore bounds the Northumberland Strait. The island has two urban areas. The larger surrounds Charlottetown Harbour, situated centrally on the island's southern shore, and consists of the capital city Charlottetown, and suburban towns Cornwall and Stratford and a developing urban fringe. A much smaller urban area surrounds Summerside Harbour, situated on the southern shore 40 km (25 mi) west of Charlottetown Harbour, and consists primarily of the city of Summerside. As with all natural harbours on the island, Charlottetown and Summerside harbours are created by rias. Winters are moderately cold and long but are milder than inland locations, with clashes of cold Arctic air and milder Atlantic air causing frequent temperature swings. The climate is considered to be more continental than oceanic since the Gulf of St. Lawrence freezes over, thus eliminating any moderation. The mean temperature is −7 °C (19 °F) in January. During the winter months, the island usually has many storms (which may produce rain as well as snow) and blizzards since during this time, storms originating from the North Atlantic or the Gulf of Mexico frequently pass through. Springtime temperatures typically remain cool until the sea ice has melted, usually in late April or early May. Summers are moderately warm, but rarely uncomfortable, with the daily maximum temperature only occasionally reaching as high as 30 °C (86 °F). Autumn is a pleasant season, as the moderating Gulf waters delay the onset of frost, although storm activity increases compared to the summer. There is ample precipitation throughout the year, although it is heaviest in the late autumn, early winter and mid spring. The following climate chart depicts the average conditions of Charlottetown, as an example of the small provinces' climate. Between 250 and 300 million years ago, freshwater streams flowing from ancient mountains brought silt, sand and gravel into what is now the Gulf of St. Lawrence. These sediments accumulated to form a sedimentary basin, and make up the island's bedrock. When the Pleistocene glaciers receded about 15,000 years ago, glacial debris such as till were left behind to cover most of the area that would become the island. This area was connected to the mainland by a strip of land, but when ocean levels rose as the glaciers melted this land strip was flooded, forming the island. As the land rebounded from the weight of the ice, the island rose up to elevate it further from the surrounding water. Although commercial deposits of minerals have not been found, exploration in the 1940s for natural gas beneath the northeastern end of the province resulted in the discovery of an undisclosed quantity of gas. The Island was reported by government to have only 0.08 tcf of "technically recoverable" natural gas. Twenty exploration wells for hydrocarbon resources have been drilled on Prince Edward Island and offshore. The first reported well was Hillsborough No.#1, drilled in Charlottetown Harbour in 1944 (the world's first offshore well), and the most recent was New Harmony No.#1 in 2007. Since the resurgence of exploration in the mid-1990s, all wells that have shown promising gas deposits have been stimulated through hydraulic fracture or “fracking”. All oil and natural gas exploration and exploitation activities on the Island are governed by the Oil and Natural Gas Act R.S.P.E.I. 1988, Cap. 0-5 and its associated regulations and orders. The Province of Prince Edward Island is completely dependent on groundwater for its source of drinking water, with approximately 305 high capacity wells in use as of December 2018. As groundwater flows through an aquifer it is naturally filtered. The water for the city of Charlottetown is extracted from thirteen wells in three wellfields and distributed to customers. The water removed is replenished by precipitation. Minister of Communities, Land and Environment Robert Mitchell tabled a discussion paper on the proposed Water Act for the province on July 8, 2015. The use of groundwater came under scrutiny as the potato industry, which accounts for $1 billion every year and 50% of farm receipts, has pressed the government to lift a moratorium on high-capacity water wells for irrigation. The release of the discussion paper was to set off a consultation process in the autumn of 2015. Some species are unique to the province. In 2008, a new ascomycete species, Jahnula apiospora (Jahnulales, Dothideomycetes), was collected from submerged wood in a freshwater creek on Prince Edward Island, Canada. North Atlantic right whales, one of the rarest whale species, were once thought to be rare visitors into St. Lawrence regions until 1994, have been showing dramatic increases (annual concentrations were discovered off Percé in 1995 and gradual increases across the regions since in 1998), and since in 2014, notable numbers of whales have been recorded around Cape Breton to Prince Edward Island as 35 to 40 whales were seen in these areas in 2015. 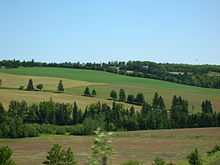 Since before the influx of Europeans, the Mi'kmaq First Nations have inhabited Prince Edward Island as part of the region of Mi'kma'ki. They named the Island Epekwitk, meaning "cradled on the waves"; Europeans represented the pronunciation as Abegweit. Another name is Minegoo. The Mi'kmaq's legend is that the island was formed by the Great Spirit placing on the Blue Waters some dark red crescent-shaped clay. There are two Mi'kmaq First Nation communities on Epekwitk today. After capturing Louisbourg during the War of the Austrian Succession, the New Englanders also attacked Île Saint-Jean (Prince Edward Island). An English detachment landed at Port-la-Joye. Under the command of Joseph du Pont Duvivier, the French had a garrison of 20 French troops at Port-la-Joye. The troops fled and New Englanders burned the capital to the ground. Duvivier and the twenty men retreated up the Northeast River (Hillsborough River), pursued by the New Englanders until the French troops received reinforcements from the Acadian militia and the Mi'kmaq. The French troops and their allies were able to drive the New Englanders to their boats. Nine New Englanders were killed, wounded or made prisoner. The New Englanders took six Acadian hostages, who would be executed if the Acadians or Mi'kmaq rebelled against New England control. The New England troops left for Louisbourg. Duvivier and his 20 troops left for Quebec. After the fall of Louisbourg, the resident French population of Île Royale were deported to France. The Acadians of Île Saint-Jean lived under the threat of deportation for the remainder of the war. The New Englanders had a force of two war ships and 200 soldiers stationed at Port-La-Joye. To regain Acadia, Ramezay was sent from Quebec to the region to join forces with the Duc d'Anville expedition. Upon arriving at Chignecto, he sent Boishebert to Île Saint-Jean on a reconnaissance to assess the size of the New England force. 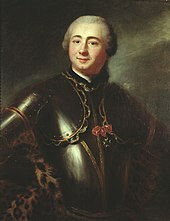 After Boishebert returned, Ramezay sent Joseph-Michel Legardeur de Croisille et de Montesson along with over 500 men, 200 of whom were Mi'kmaq, to Port-La-Joye. In July 1746, the battle happened near York River. Montesson and his troops killed forty New Englanders and captured the rest. Montesson was commended for having distinguished himself in his first independent command. Roughly one thousand Acadians lived on the island, many of whom had fled to the island from mainland Nova Scotia during the first wave of the British-ordered expulsion in 1755, reaching a population of 5,000. However, many more were forcibly deported during a second wave of expulsions after the Siege of Louisbourg (1758). In the Île Saint-Jean Campaign (1758) General Jeffery Amherst ordered Colonel Andrew Rollo to capture the island. Many Acadians died in the expulsion en route to France; on December 13, 1758, the transport ship Duke William sank and 364 died. A day earlier the Violet sank and 280 died; several days later Ruby sank with 213 on board. Great Britain claimed the island as part of Nova Scotia in 1763, when France gave up its claim to the island. This was under the terms of the Treaty of Paris which settled the Seven Years' War. The island was split into a separate colony in 1769, which the British called St. John's Island. The high influx of Scottish Highlanders in the late 1700s resulted in St. John's Island having the highest proportion of Scottish immigrants in Canada. This, in turn, led to a higher proportion of Scottish Gaelic speakers and thriving culture surviving on the island than in Scotland itself, as the settlers could more easily avoid English influence overseas. The 1787 dismissal of Governor Patterson and his recall to London in 1789 dampened his brother's efforts, leading John to focus on his interests in the United States (one of John's sons, Commodore Daniel Patterson, became a noted United States Navy hero, and Daniel's son Rear Admiral Thomas H. Patterson also had a distinguished career). Edmund Fanning, also a Loyalist exiled by the Revolution, took over as the second governor, serving until 1804. His tenure was more successful than Patterson's. According to the 2011 National Household Survey, the largest ethnic group consists of people of Scottish descent (39.2%), followed by English (31.1%), Irish (30.4%), French (21.1%), German (5.2%), and Dutch (3.1%) descent. Prince Edward Island's population is largely white; there are few visible minorities. Chinese Canadians are the largest visible minority group of Prince Edward Island, comprising 1.3% of the province's population. Almost half of respondents identified their ethnicity as "Canadian". Mother tongue in Prince Edward Island (red: English, blue: French). The only part of the province to have a Francophone majority is the Evangeline Region. Fisheries form one of the major industries of Prince Edward Island. Rolling hills cover a significant portion of the island's landscape. The provincial economy is dominated by the seasonal industries of agriculture, tourism, and the fishery. The province is limited in terms of heavy industry and manufacturing, though Cavendish Farms runs extensive food manufacturing operations on PEI. The island's economy has grown significantly over the last decade in key areas of innovation. Aerospace, Bioscience, ICT and Renewable energy have been a focus for growth and diversification. Aerospace alone now accounts for over 25% of the province's international exports and is the island's fourth largest industry at $355 million in annual sales. The Bioscience industry employs over 1,300 people and generates over $150 million in sales. Prince Edward Island has one of Canada's highest provincial retail sales tax rates, at 9%. The tax is applied to almost all goods and services except some clothing, food and home heating fuel. The tax, along with the Federal Goods and Services Tax, is incorporated into the Harmonized Sales Tax in the province. At present, approximately fifteen percent of electricity consumed on the island is generated from renewable energy (largely wind turbines); the provincial government has set renewable energy targets as high as 30-50% for electricity consumed by 2015. Until wind generation, the province relied entirely on electricity imports on a submarine cable from New Brunswick. A thermal oil-fired generating station in Charlottetown is also available. Electricity rates in the province were in 2011 the highest in Canada, at a domestic rate of 0.161 $/kWh. The province imports about 85 per cent of its power through New Brunswick. The maintenance shutdown of Point Lepreau nuclear plant forced the province to acquire most of its electrons on the expensive open market. The result was a steep price hikes of about 25 per cent in the three years to 2011 but the province later subsidised rates. Residents were to pay 11.2 per cent more for electricity when the harmonized sales tax was adopted in April 2013, according to the P.E.I. Energy Accord that was tabled in the legislature on December 7, 2012. and passed as the Electric Power (Energy Accord Continuation) Amendment Act, which establishes electric pricing from April 1, 2013, to March 1, 2016. Regulatory powers are derived for IRAC from the Electric Power Act. Since 1918 Maritime Electric has delivered electricity to customers on the Island. The utility is currently owned and operated by Fortis Inc. The provincial government is responsible for such areas as health and social services, education, economic development, labour legislation and civil law. These matters of government are overseen in the provincial capital, Charlottetown. Prince Edward Island is governed by a parliamentary government within the construct of constitutional monarchy; the monarchy in Prince Edward Island is the foundation of the executive, legislative, and judicial branches. The sovereign is Queen Elizabeth II, who also serves as head of state of 15 other Commonwealth countries, each of Canada's nine other provinces, and the Canadian federal realm, and resides predominantly in the United Kingdom. As such, the Queen's representative, the Lieutenant Governor of Prince Edward Island (presently Antoinette Perry), carries out most of the royal duties in Prince Edward Island. Each of the 27 Members of the Legislative Assembly (MLA) is elected by simple plurality in an electoral district. General elections are called by the lieutenant governor for the first Monday in October four years after the previous election, or may be called, on the advice of the premier, should the government lose a confidence vote in the legislature. Traditionally, politics in the province have been dominated by both the Liberal Party and the Progressive Conservative Party. Since the 2015 election, the Green Party of Prince Edward Island has also had representation in the Legislative Assembly. The Mi'kmaq Confederacy of PEI is the tribal council and provincial-territorial organization in the province that represents both the Lennox Island and Abegweit First Nations. The province has very strict laws regarding use of roadside signs. Billboards and the use of portable signs are banned. There are standard direction information signs on roads in the province for various businesses and attractions in the immediate area. The by-laws of some municipalities also restrict the types of permanent signs that may be installed on private property. There is an extensive bicycling and hiking trail that spans the island. The Confederation Trail is a 470 kilometres (290 mi) recreational trail system. The land was once owned and used by Canadian National Railway (CN) as a rail line on the island. Many PEI homes and businesses are served by central sewage collection and/or treatment systems. These are operated either by a municipality or a private utility. Many industrial operations have their own wastewater treatment facilities. Staff members with the Department of Environment, Labour and Justice provide advice to operators, as needed, on proper system maintenance. The IRAC regulates municipal water and sewer in the province, now under the Environmental Protection Act. Since around 1900, the residents of the City of Charlottetown have benefited from a central sanitary sewer service. Early disposal practices, while advanced for their time, eventually were found to compromise the ecological integrity of the nearby Hillsborough River and the Charlottetown Harbour. By 1974, the Commission had spearheaded the development of a primary wastewater treatment plant, known as the Charlottetown Pollution Control Plant, together with the construction of several pumping stations along the City's waterfront, and outfall piping deep into the Hillsborough River. Prince Edward Island's documented music history begins in the 19th century with religious music, some written by the local pump and block maker and organ-importer, Watson Duchemin. Several big bands including the Sons of Temperance Band and the Charlottetown Brass Band were active. Today, Acadian, Celtic, folk, and rock music prevail, with exponents including Gene MacLellan, his daughter Catherine MacLellan, Al Tuck, Lennie Gallant, Two Hours Traffic and Paper Lions. The celebrated singer-songwriter Stompin' Tom Connors spent his formative years in Skinners Pond. Celtic music is certainly the most common traditional music on the island, with fiddling and step dancing being very common. This tradition, largely Scottish, Irish and Acadian in origin is very similar to the music of Cape Breton and to a lesser extent, Newfoundland and is unique to the region. Due to the Islands influence as a former Highlander Clans Scottish colony, a March 4/4 for bagpipes was composed in honour of Prince Edward Island. There is an annual arts festival, the Charlottetown Festival, hosted at the Confederation Centre of the Arts as well as the Island Fringe Festival that takes place around Charlottetown. An annual jazz festival, the P.E.I. Jazz and Blues Festival. is a one-week-long series of concerts taking place at several venues including Murphy's Community Centre, outdoor stages, and churches in Charlottetown. The moving of its date to mid-August caused in 2011 a serious loss in funding from Ottawa's regional development agency ACOA. The musician's line up in 2011 included Oliver Jones, Sophie Milman, Matt Dusk, Jack de Keyzer, Jack Semple, Meaghan Smith and Jimmy Bowskill. There is also Canada Rocks, and the Cavendish Beach Music Festival. With agriculture and fishery playing a large role in the economy, P.E.I. has been marketed as a food tourism destination. Several food festivals have become popular such as the Fall Flavours festival and the Shellfish Festival. ^ Extreme high and low temperatures in the table below are from Charlottetown (April 1872 to December 1934), Charlottetown CDA (January 1935 to March 1943), and Charlottetown Airport (April 1943 to present). ^ "Land and freshwater area, by province and territory". Statistics Canada. February 1, 2005. Retrieved August 5, 2012. ^ a b "Population and dwelling counts, for Canada, provinces and territories, 2016 and 2011 censuses". Statistics Canada. February 6, 2017. Retrieved May 8, 2017. ^ "Census Profile, 2016 Census - Prince Edward Island [Province] and Canada [Country]". www12.statcan.gc.ca. Government of Canada, Statistics. Retrieved June 28, 2018. ^ Prince Edward Island. Britannica Concise Encyclopedia. 2013. ^ a b Natural Resources Canada (August 2009). "The Atlas of Canada - Sea Islands". Retrieved August 5, 2012. ^ Tidridge, Nathan. Prince Edward, Duke of Kent: Father of the Canadian Crown. Toronto: Dundurn Press, 2013. ^ a b "Prince Edward Island". The Canadian Encyclopedia. Retrieved May 17, 2015. ^ a b c d e "The Climate of Prince Edward Island". The Climates of Canada. Environment Canada. Archived from the original on September 20, 2008. Retrieved June 7, 2015. ^ a b "Climate and Weather". Government of Prince Edward Island. Retrieved June 7, 2015. ^ "Canadian Climate Normals 1971-2000". Environment Canada. Retrieved October 5, 2012. ^ "Charlottetown A". Canadian Climate Normals 1981–2010. Environment Canada. Retrieved April 9, 2016. ^ "Charlottetown". Canadian Climate Data. Environment Canada. Retrieved February 29, 2016. ^ "Charlottetown CDA". Canadian Climate Normals 1971–2000. Environment Canada. Retrieved April 9, 2016. ^ "March 2012". Canadian Climate Data. Environment Canada. Retrieved June 9, 2016. ^ Russel, F. The Atlantic Coast. The Illustrated Natural History of Canada. Natural Science of Canada Ltd. Toronto. 1970. pp. 30–31. LCCCN 70109048. ^ Parks Canada, Teacher Resource Centre, Prince Edward Island National Park of Canada Archived September 19, 2011, at the Wayback Machine Retrieved: April 6, 2011. ^ Lexicon of Canadian Geological Units. "Pictou Group". Archived from the original on June 18, 2013. Retrieved June 16, 2013. ^ thecanadianencyclopedia.ca: "Prince Edward Island - Mining"
^ nrcan.gc.ca: "Prince Edward Island’s Shale and Tight Resources"
^ "High Capacity Wells". www.princeedwardisland.ca. January 9, 2017. ^ a b "The Province of Prince Edward Island is totally dependent on groundwater". www.city.charlottetown.pe.ca. Archived from the original on October 12, 2009. ^ a b cbc.ca: "Water supply worries prompt Charlottetown meeting", November 30, 2011. ^ a b cbc.ca: "Charlottetown opens emergency water supply", July 10, 2012. ^ cbc.ca: "Charlottetown relies on secondary water source", August 14, 2013. ^ a b c d e "PEI Potato". PEI Potato. Retrieved July 11, 2015. ^ cbc.ca: "Water Act white paper tabled by P.E.I. government", July 8, 2015. ^ gov.pe.ca: "Environment - Drinking Water Quality"
^ gov.pe.ca: "Getting your water tested"
^ "Macphail Woods: Watersheds". macphailwoods.org. Retrieved December 11, 2016. ^ Canada, Parks Canada Agency, Government of. "Parks Canada - Prince Edward Island National Park - especesenperil-speciesatrisk". www.pc.gc.ca. Retrieved December 11, 2016. ^ "Freshwater ascomycetes: Jahnula apiospora (Jahnulales, Dothideomycetes), a new species from Prince Edward Island, Canada". Retrieved September 29, 2013. ^ "Une baleine noire en vue! Merci d'appeler Urgences Mammifères Marins!". Baleines en direct (in French). July 12, 2013. ^ "Right whales off Cape Breton going the wrong way for shipping, fishing". thechronicleherald.ca. Archived from the original on October 29, 2015. ^ a b Island Information: Quick Facts, website of the Government of Prince Edward Island, 2010-04-27. Retrieved on October 25, 2010. ^ a b Sark, John Joe (1988). Micmac Legends of Prince Edward Island. Lennox Island Band Council & Ragwee Press. p. 6. ISBN 978-0920304914. ^ Fraser, Sara (March 7, 2017). "'It's all Mi'kmaq land': Why First Nations claim P.E.I. as their own". CBC News. Retrieved September 10, 2017. ^ a b Harvey, p. 111. ^ Boishebert Canadian Biography On Line. ^ "Mi'kmaw History – Timeline (Post-Contact)". Muiniskw.org. August 4, 2011. Retrieved May 19, 2012. ^ "LEGARDEUR DE CROISILLE ET DE MONTESSON, JOSEPH-MICHEL - Dictionary of Canadian Biography Online". Biographi.ca. October 18, 2007. Retrieved May 19, 2012. ^ The Canadian Encyclopedia, Hurtig Publishers, Edmonton, Alberta (1988), p. 1753. ^ Johnston, A. J. B. (2007). Endgame 1758: The Promise, the Glory and the Despair of Louisbourg's Last Decade. University of Nebraska Press. p. 366. ^ Earl Lockerby. The Deportation of the Acadians from Prince Edward Island. ^ Brendan O'Grady, Exiles and Islanders: The Irish Settlers of Prince Edward Island, p. 15. ^ PEI Provincial Government. "Historical Milestones". Retrieved August 17, 2007. ^ Julian Gwyn. Frigates and Foremasts. University of British Columbia, 2003, p. 58. ^ "Assembly Timeline" (PDF). Legislative Assembly of Prince Edward Island. Government of Prince Edward Island. Retrieved October 22, 2011. ^ Library and Archives Canada. "Canadian Confederation, Provinces and Territories, Prince Edward Island". Retrieved December 27, 2009. ^ Confederation Centre of the Arts National Historic Site of Canada. Canadian Register of Historic Places. Retrieved October 23, 2011. ^ "Population and dwelling counts, for Canada, provinces and territories, 2006 and 2001 censuses – 100% data". ^ a b , National Household Survey (NHS) Profile, 2011. ^ Statistics Canada (2002). "Population of Canada's Provinces". Archived from the original on March 23, 2007. Retrieved April 3, 2007. ^ PEI population trend Archived February 21, 2007, at the Wayback Machine (Statistics Canada). ^ Population urban and rural, by province and territory Archived November 21, 2006, at the Wayback Machine (Statistics Canada, 2005). ^ "Prince Edward Island [Economic region], Prince Edward Island and Canada [Country] (table). Census Profile". Ottawa: Statistics Canada. September 13, 2017. Retrieved October 13, 2017. ^ "Religions in Canada". 2.statcan.ca. Retrieved February 23, 2011. ^ gov.pe.ca: "Agriculture on Prince Edward Island"
^ statcan.gc.ca: "Census of Agriculture counts 1700 farms in Prince Edward Island"
^ maisonneuve.org: "When the Monks Come to Town", June 18, 2013. ^ "Idaho Potato Production". Potatopro.com. November 12, 2008. Archived from the original on July 15, 2011. Retrieved February 23, 2011. ^ Weihs, Jean (1995). Facts about Canada, its provinces and territories. New York: H.W. Wilson Co. p. 159. ISBN 9780824208646. ^ Prince Edward Island (P.E.I.). Encyclopædia Britannica Inc. 2013. ^ a b irac.pe.ca: "The Prince Edward Island Lands Protection Act - Frequently Asked Questions Including Information on Non-Resident, Corporate & Global Permit Applications for Land Acquisition in Prince Edward Island"
^ "PEI BioScience Cluster - Prince Edward Island BioAlliance - Overview". peibioalliance.com. Archived from the original on December 20, 2016. Retrieved December 11, 2016. ^ "Government of Prince Edward Island". ^ "Pepsi Bottling Group To Acquire Seaman's Beverages". SmartBrief. April 3, 2002. Retrieved January 14, 2014. ^ Government of PEI. "PEI Bans the Can". Archived from the original on January 7, 2006. Retrieved April 3, 2007. ^ CBC (April 26, 2007). "End to can ban receives full support of legislature". CBC News. Retrieved April 27, 2007. ^ Government of PEI. "Government to lift "can-ban" May 3 beverage container management system encourages returns and recycling". Retrieved April 26, 2008. ^ Island Regulatory and Appeals Commission (PEI Government). ^ "Summary Tables". 0.statcan.ca. Archived from the original on March 13, 2012. Retrieved May 19, 2012. ^ Government of PEI. "Minimum Wage Order". Archived from the original on January 4, 2009. Retrieved November 24, 2015. ^ cbc.ca: "Electricity in Prince Edward Island", March 30, 2011. ^ cbc.ca: "Electricity rates rising 11.2% next year", December 7, 2012. ^ Canadian Heritage (February 2009). Department of Canadian Heritage Portfolio (PDF) (2nd ed.). Queen's Printer for Canada. pp. 3–4. ISBN 978-1-100-11529-0. Archived from the original (PDF) on June 11, 2011. Retrieved May 23, 2011. ^ Office of the Lieutenant Governor of Prince Edward Island. "Role > Role and Responsibilities". Queen's Printer for Prince Edward Island. Retrieved September 13, 2012. ^ Elizabeth II (2008). "Election Act" (PDF). 4.1(2)(b): Queen's Printer for Prince Edward Island. Retrieved September 13, 2012. ^ "Confederation Bridge". September 2009. (official website). ^ gov.pe.ca: "Central Wastewater Systems"
^ irac.pe.ca: "PRINCE EDWARD ISLAND - MUNICIPAL WATER & SEWERAGE UTILITIES - GENERAL RULES & REGULATIONS"
^ irac.pe.ca: "CHAPTER E-9 - ENVIRONMENTAL PROTECTION ACT - DRINKING WATER AND WASTEWATER FACILITY OPERATING REGULATIONS"
^ charlottetown.pe.ca: "City of Charlottetown Wastewater Treatment Expansion & Upgrading" Archived July 12, 2015, at the Wayback Machine (ca 2001). ^ Mittelstaedt, Martin (December 6, 2006). "Pesticides are what's killing our kids". The Globe and Mail. Archived from the original on September 30, 2007. Retrieved April 3, 2007. ^ Wright, Teresa (July 7, 2008). "Abortion policy to remain same: Ghiz". The Guardian. Charlottetown, PUI. Archived from the original on July 19, 2018. Retrieved May 13, 2010. ^ "P.E.I. won't change abortion policy". CBC News. July 19, 2000. Retrieved May 13, 2010. ^ "Abortion information line disconnected". CBC News. January 29, 2008. Retrieved May 13, 2010. ^ Arthur, Joyce (November 2000). "Canada Health Act Violates Abortion Services: Five Basic Principles Not Met". Pro-Choice Action Network. Retrieved May 13, 2010. ^ "Your province and tax-funded abortions". Life Canada Inc. 2003. Archived from the original on October 6, 2008. Retrieved May 13, 2010. ^ "Morgentaler clinic in N.B. to close, citing no provincial funding". CBC News. Retrieved December 11, 2016. ^ "New health centre in old Morgentaler clinic in N.B. to provide abortions". CBC News. Retrieved December 11, 2016. ^ "P.E.I. moves to provide abortion services on the Island". CBC News. Retrieved December 11, 2016. ^ Archie Cairns - Book 1 Pipe Music 'Prince Edward Island' March 4/4, 1995. ^ "About the Island Fringe Festival". Island Fringe Festival. Retrieved January 27, 2017. ^ "P.E.I. Jazz and Blues Festival". Retrieved August 10, 2011. ^ "Jazz festival loses ACOA funding". CBC news. cbc.ca. August 9, 2011. Retrieved August 10, 2011. ^ "P.E.I. to become 'Canada's Food Island'". CBC News. Retrieved December 11, 2016. ^ "Ilê-du-Prince-Edouard: Communiqué (Vice-Governor from Chinese Sister Province Visits Prince Edward Island)". Gov.pe.ca. Retrieved May 19, 2012. Baglole, Harry (1977). Exploring Island History: A Guide to the Historical Resources of Prince Edward Island. Belfast, P.E.I. : Ragweed Press. ISBN 978-0-920304-01-3. OCLC 4114534. Beck, E. Boyde; Burden, P. John (1996). Prince Edward Island : an (un)authorized history. Charlottetown: Acorn Press. ISBN 978-0-9698606-1-7. OCLC 36817364. Bumsted, J. M. (1987). Land, settlement, and politics on eighteenth-century Prince Edward Island. Kingston, ON: McGill-Queen's University Press. ISBN 978-0-7735-0566-7. OCLC 17199722. Retrieved September 16, 2009. Clark, Andrew Hill (1959). Three Centuries and the Island. A Historical Geography of Settlement and Agriculture in Prince Edward Island, Canada. Toronto: University of Toronto Press. OCLC 203962. A very broad look at the historical geography of P.E.I. Ives, Edward D. (1999). Drive Dull Care Away: Folksongs from Prince Edward Island. Charlottetown: Institute of Island Studies. ISBN 978-0-919013-34-6. OCLC 123276052. Retrieved September 16, 2009. Johnston, A. J. B.; Francis, Jesse (2013). Ni'n na L'nu: The Mi'kmaq of Prince Edward Island. Charlottetown: Acorn Press. ISBN 978-1-894838-93-1. MacKinnon, Frank (1995). Church politics and education in Canada : the P.E.I. experience. Calgary: Detselig Enterprises. ISBN 978-1-55059-104-0. OCLC 35292426. MacKinnon, Wayne (1973). The Life of the Party: A History of the Liberal Party in Prince Edward Island. Summerside, P.E.I. : Prince Edward Island Liberal Party. Sharpe, Errol (1976). A people's history of Prince Edward Island. Toronto: Steel Rail. ISBN 978-0-88791-003-6. OCLC 2893908. Verner Smitheram; David Milne; Satadal Dasgupta (1982). The Garden transformed: Prince Edward Island, 1945-1980. Charlottetown: Ragweed Press. ISBN 978-0-920304-10-5. OCLC 9469420. Livingston, Walter Ross (1931). Responsible Government in Prince Edward Island: A Triumph of Self-Government under the Crown. Iowa City, IA: University of Iowa Press. OCLC 1678512. Retrieved September 16, 2009. Weale, David; Baglole, Harry (1973). The Island and Confederation: the end of an era. Summerside, P.E.I. : Williams and Crue. OCLC 1340051. This page was last edited on 20 April 2019, at 12:23 (UTC).